Since the beginning of professional wrestling, there have been a select few wrestlers who have stood out as a rare breed who were literally larger than life. These men, despite their imposing size and strength, were all but relegated to nothing more than attractions. Participating in squash matches and expositions. These men captivated the audience and captured our hearts, they had names like The French Angel, Andre the Giant and more recently Braun Strowman. 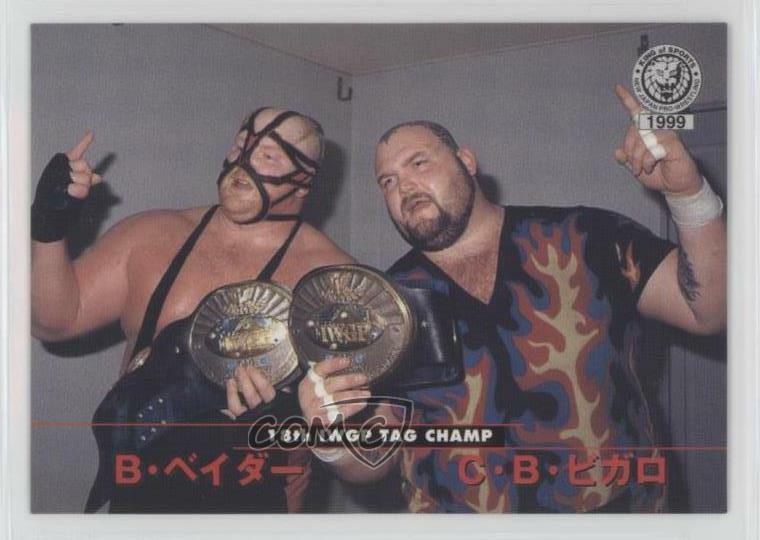 They are the big, the bad, they are the giants of professional wrestling. I remember growing up and Andre the Giant was the spectacle to behold. Now granted, Andre was more of a special attraction back then, much like current WWE Universal Champion Brock Lesnar. Andre went from town to town and competed in matches showcasing his size and strength, and he even enjoyed a successful stint in Japan. It wasn’t til Vince Jr took over the company (WWE/F) that he became more prominent on the roster. In the 80s, guys like Big John Studd and former NFL star ” Big Cat” Ernie Ladd began making names for themselves, and the transition from special attraction to full-time performer began. This was around about the time the notion that wrestling wasn’t all that real began to take hold. In the sense that no one would believe someone like “Macho Man” Randy Savage could take down a guy like Andre. But however, this is where the big men were given their true purpose, to help get other talent over with the fans. It literally gave birth to the almost superhero status of wrestlers. Here is the ordinary man facing the unstoppable giant, real David and Goliath type stuff. The fans ate it up, and it was around this time something wonderful happened; the gimmick. Names like The Ugandan Giant, Kane and The Undertaker. Hailing from parts unknown and the deepest darkest Africa. Even hell itself. These men were transformed from being just large athletes to monsters, demons, and the stuff of legend. There was a huge shift in the 90s, as we started seeing larger athletes come on the scene. Men like Big Van Vader, Bam Bam Bigelow and The Undertaker all had the same attributes as others except for one thing; they could move. These men would do incredible things, like Vader with his second turnbuckle Vader Bomb. Bam Bam with his top rope moonsault, and Undertaker gingerly walking the top rope, all feats thought to be impossible by men their size. They were instrumental in solidifying the big man’s place on the roster, enter the era of the super heavyweights. Subsequently, the look of the average wrestler changed in my opinion, to compensate for these larger athletes being on the roster. The Ultimate Warrior, Ken Patera, “Hercules” Hernandez and Don “The Rock” Muraco all looked less like average joes and more like bodybuilders. A strategic move I believe, to make toppling these giants more plausible. Wrestling lives and dies with the faith of the audience, they need to believe what they are seeing. People need to see heroes and villains battling it out, and what better villain than a giant? However, the one spanner in the works was these giants were becoming less feared and more loved. It became increasingly more difficult to sell them as heels, so some shifted from portraying the evil nemesis to unlikely heroes. But not all big men went on to become baby faces. Big John Studd and King Kong Bundy enjoyed far greater success as heels and remained as such for the majority of their storied careers. Even every one’s favorite giant Andre became a monster heel, and the bane of then WWF/E World Champion Hulk Hogan culminating in their epic showdown at Wrestlmania 3. Fast forward to the era we are currently enjoying, and we yet again have seen a dramatic shift in the use of big men in the industry. There are still larger athletes on the rosters but they are far less common. Men like Kane, Undertaker and Big Show are either semi-retired or only make limited appearances. On the other hand, with fans craving the more fast paced daredevil styles of a Kenny Omega or Finn Bàlor, one cannot help but wonder if giants still have a place in the modern era of wrestling? In closing, whether you are young or old, watching for years, or having recently discovered professional wrestling, you cannot deny the indelible mark these men have left on the industry. Their legacy which is truly larger than life.